I have a child that thinks an ice pack isn’t cold enough. You can put one right out of the freezer onto her skin and she barely bats an eye. She also acts like a slight bump into the wall has broken every bone in her body. The sound of the car while she is riding in it can be too loud and a crowded store can be enough to bring on the worst meltdown. The act of moving her feet in a reciprocal motion to pedal a bike is challenging and I have to convince her she is hungry or thirsty. Needless to say her wiring is a little askew. She has a sensory issue. Or an issue with her sensory issue. Either way, it’s something that needs to be addressed. We do sensory play. We try to help stimulate her nervous system. We have a swing, we have bins, we have a brush. None of which is Pinterest worthy because none of it needs to be. I don’t do joint compressions on her for the family fun experience and we encourage showers for more reasons than cleanliness. Sensory play is part of our life. Sometimes, it’s what gets us through the day. But something has become popular. It is overloading my Pinterest, Facebook, Instagram feed. 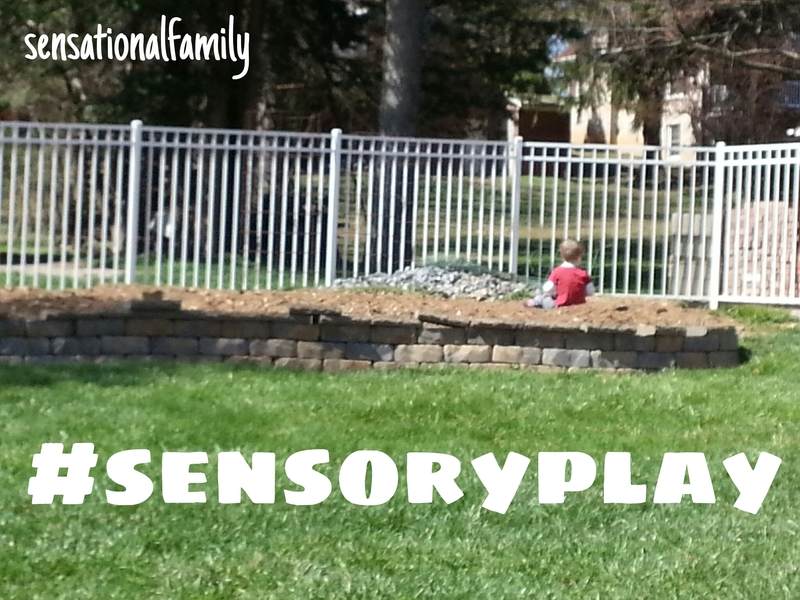 It is #sensoryplay. With pictures of little kids playing in shaving cream or rice or sandpaper. It’s something else to make the average mom think “my kid is never going to college if I don’t give him sensory stimulation”. But I’m here to tell you to relax. You are fine. You don’t need to run out and buy a bunch of beans or balls or water tables. The reason is, that kids get sensory stimulation ALL.THE.TIME. They play in dirt, they roll on the carpet, they have play-doh, they get sunshine, they slide down slides, they paint, they climb furniture, they wear clothes, they get stimulated. These tools, while maybe fun for the day, are not a necessity for good parenting. No child will be lost if they never got to find tiny choke-able items in a bin of rice. I promise you. How do I know? Because I have a sensory impaired child and a regular sensing child. The difference in their reactions to stimulation are night and day. The interest they carry in the activities are night and day. The amount that they tolerate are night and day. The same rice bin that soothes one, bores the other in 10 minutes. The only thing that they both love is the swing and really, who can blame them? I want to spend time in a hammock too! So, do yourself a favor. When you think your child needs something to do, open the door and let them run.